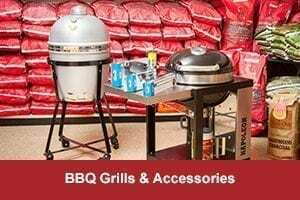 Buchanan Fire & Outdoor has been providing quality Fireplace and Grilling products since 1974. Click here to read our story. 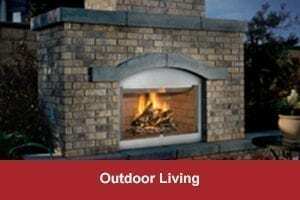 Buchanan Fire and Outdoor has been enhancing indoor and outdoor living since 1974. We’re a family owned business who put quality products and superb customer service as our number one priorities. We know our customers have many options out there, but what has kept them coming back is the personal touch we provide during each and every sale. Our name says it all, we provide only the best fire and outdoor products including high quality BBQ grills and smokers, beautiful outdoor & patio furnishings, industry leading fireplaces & gas logs, propane exchange & home heating service, as well as a wide variety of accessories, replacement parts, and home décor items. We invite you to shop online or stop in our showrooms located near Greenville, SC. To hear more about our story, be sure to see our About Us page. We look forward to helping you enhance your indoor and outdoor living spaces. Who doesn’t love to cozy up to a nice fire in the winter? The warmth of the fire and the flickering of the flames lull you into a state of primal relaxation. However, one problem with fireplaces is that during the milder seasons, having a fire will make your home too hot. 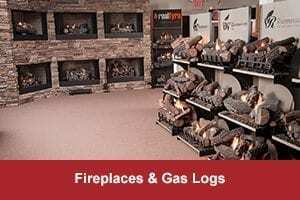 One of our specialties and a very popular item with our customers in Greenville, SC are gas logs. Coming in a wide variety of styles to match your décor, you will have all the benefits of a fire without all the hassle of keeping a supply of firewood available, and the mess that it makes with ash and flying ember. Whether fueled with natural gas or propane gas, gas logs are efficient and clean burning, keeping both your home and the environment clean. Moreover, the heat that they put out is minimal so your fireplace can even be used during the fall and spring, and even the summer for year-round enjoyment. Buchanan Fire and Outdoors has very competitive pricing on propane gas. If you aren’t using propane now for anything besides your outdoor bbq smokers, then you should consider the many benefits of using propane as an energy source. With the rising price of energy nowadays, propane gas is an economical and environmentally sound way to fuel clothes dryers, water heaters, cooking stoves, home heating systems, and even refrigerators, saving you thousands of dollars in just a few years. Contact us today about our propane gas delivery services!